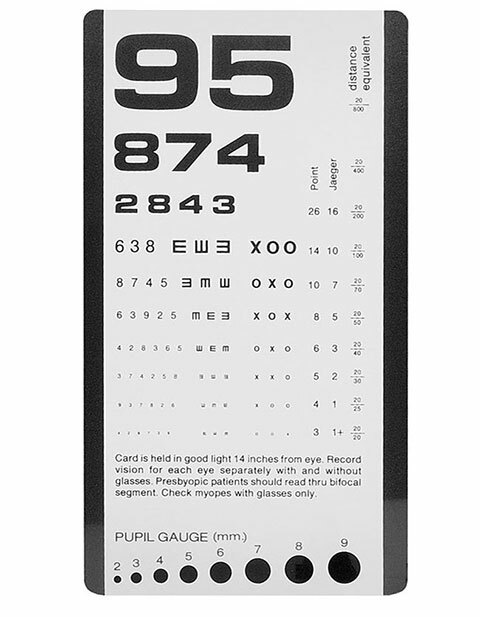 This is a durable and high quality Plastic Pocket Eye Chart with Pupil Gauge by Prestige. It is meant to be placed 14 inches away from the viewer. It features a durable and laminated plastic. It's with metric and English scale on the back. Its dimension is 16 cm x 9 cm.